On Aug. 31, Army Spc. Kevin Shumaker, 24, died of rabies after being bitten by a stray dog in Afghanistan. Shumaker was the first U.S. soldier to die of rabies since the Vietnam War. In response, the Army launched a public education offensive, hanging up posters like the one above that warn of the deadly viruses lurking within even the cuddliest of creatures. You see, dogs aren't the only rabies carriers. 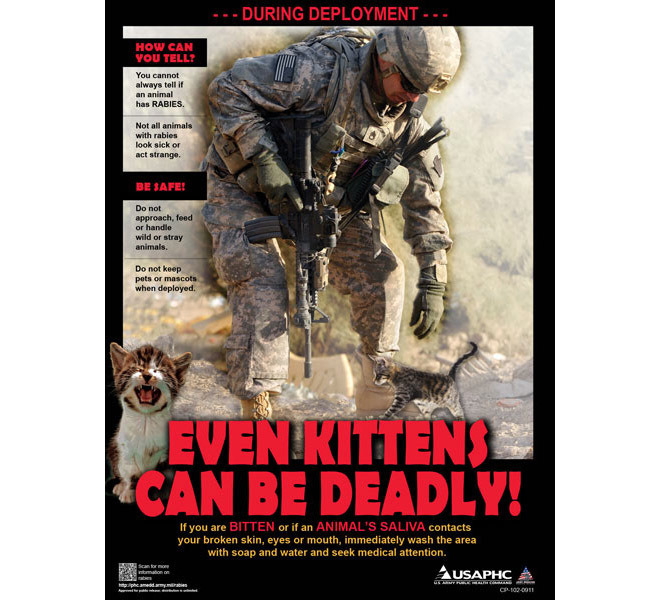 As the U.S. Army Public Health Command notes, "EVEN KITTENS CAN BE DEADLY!" In other words, Fluffy here ain't your average lolcat. 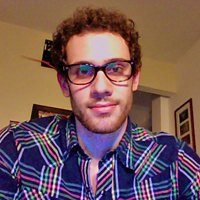 Mark Riffee is a journalism grad student at NYU who has written for The New York Times Local East Village and produced videos for the New York Daily News.